The New Forest Volunteer Fair returns on 27 January, hot on the heels of a record year for volunteering in the National Park. The schedule of talks for the day has just been announced. Volunteers have contributed almost 20,000 hours to help care for the New Forest over the last year, smashing the 10,000 hours target set out at last year’s Fair. Their achievements include preserving historical documents, bringing habitats back to life and helping young people experience the great outdoors. Now thoughts are turning to making 2019 the biggest year of volunteering yet as part of the government’s Year of Green Action. The year-long event also marks 70 years sine the UK’s National Parks were first established. The year begins with the New Forest National Park Volunteer Fair, the area’s largest volunteering event. More than 50 local groups will be offering hundreds of roles to suit all ages and abilities at the fair organised by the New Forest National Park Authority. Almost 600 people attended last year, and hundreds are again expected to visit the free fair on Sunday 27 January. Open from 10.30am to 4pm at Lyndhurst Community Centre, the fair showcases opportunities from groups including Exbury Gardens, New Forest Heritage Centre and Oakhaven Hospice Trust. Volunteer roles on offer at the fair include recording wildlife, inspiring youngsters, restoring landscapes and helping some of society’s most vulnerable. As well as helping local communities and the environment, volunteering is also good for volunteers, helping you find friends, reach out to the community, improve your mental and physical wellbeing and even advance your career. 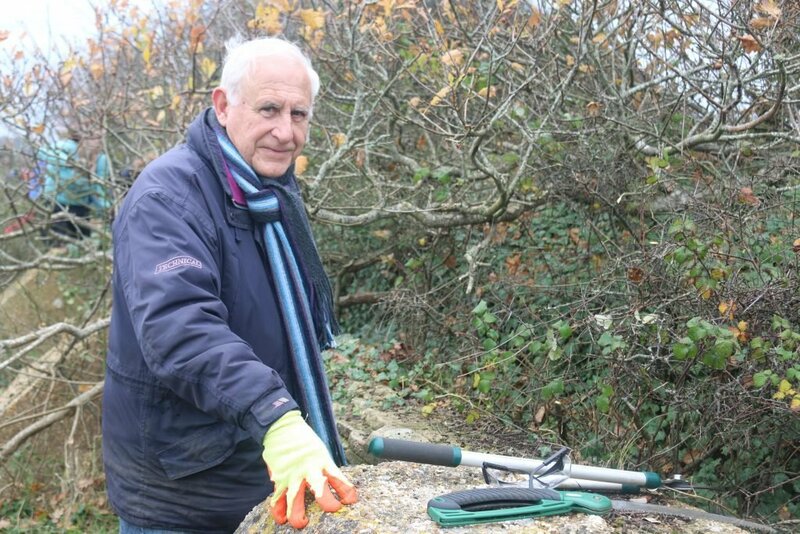 Tim Wilding (below) is a volunteer helping to preserve historical sites and said: ‘Even though I’ve lived in the New Forest for over 40 years I’ve never learnt as much about the area as I have in the last five years of volunteering. I like getting out and about and exploring and getting to know the environment better. I’m very interested in history, especially the roman period, and I can always find something of interest to me.